I love the sweet, sour, salty, and spicy flavor that are often common taste in Southeast Asia cooking. It’s like your taste buds are so busy to be pleased by all these amazing mixture of herbs and flavor. I enjoy eating sweets, but I have to admit I have more savory tooth than sweet tooth. 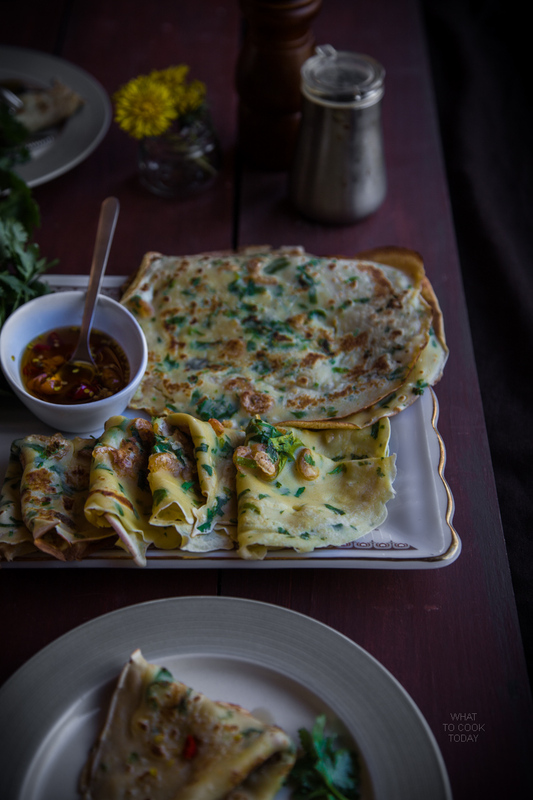 For example this savory dried shrimp crepes. This is one of my favorites. I love it so much. 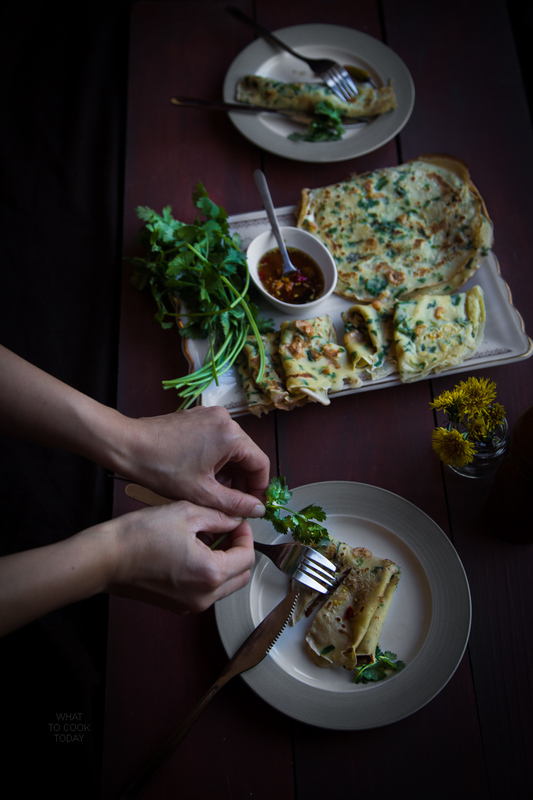 The dried shrimp add the umami flavor and adding fresh herb like cilantro is just so refreshing. I adapted the crepes recipe from Edd Kimber’s Patisserie Made Easy. 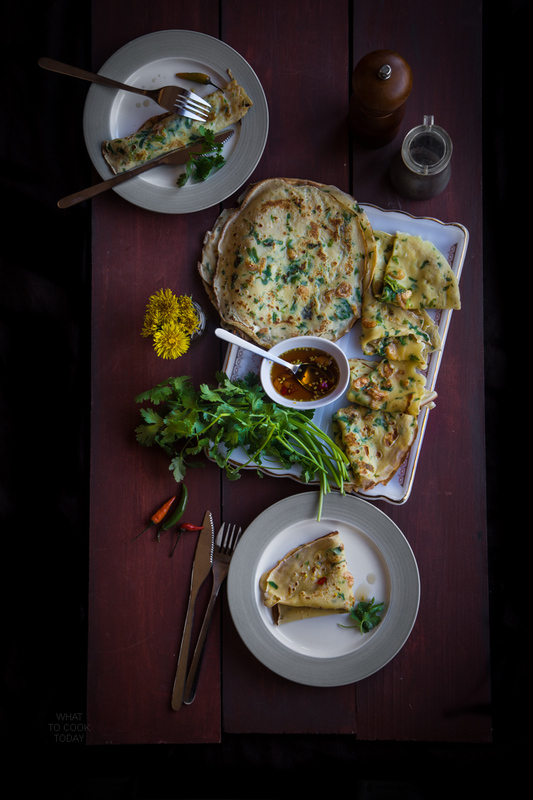 The idea of adding dried shrimp into the crepes came from Home Baking cookbook by Jeffrey Alford and Naomi Duguid. I love these folks. 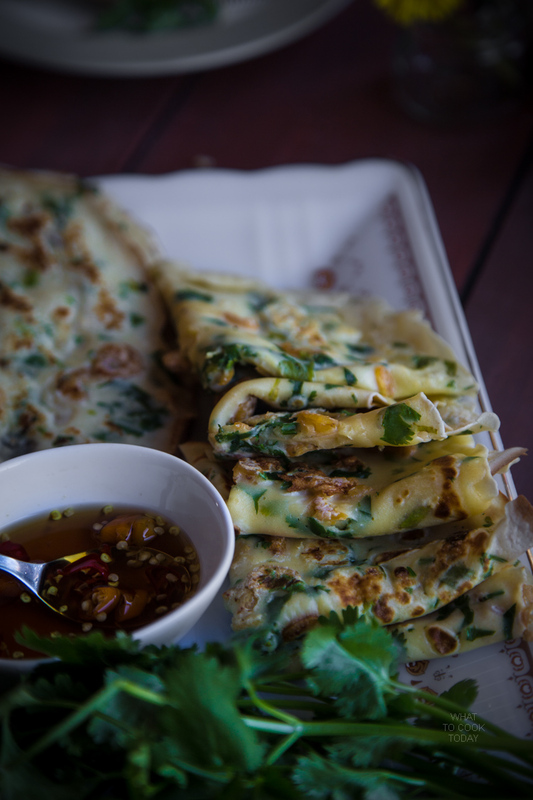 The crepes are flavored with dried shrimp, coriander leaf/cilantro, and lime juice. When you bite into it, you feel like there are lots going on inside your mouth, in a good way. 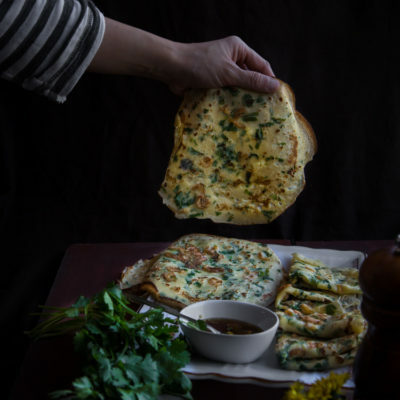 The dipping sauce is a must to make as well. So good with the crepes. 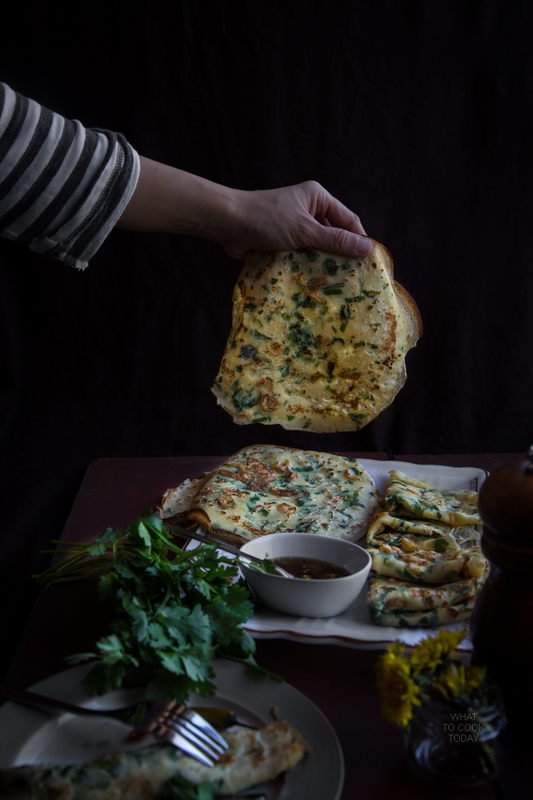 It is so easy to make too and you won’t mess up the crepes I promise. I didn’t! Just before starting to cook, stir the dried shrimp into the batter. The batter should be like crepe batter, smooth and pourable. If necessary, thin it with a little more coconut milk.